While Regular milonga (Vodka room ) is having holidays. 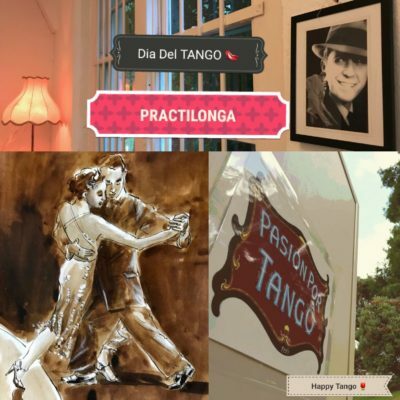 come and dance with us at Pop up Tango Practilonga at passion Por tango by Happy Tango. Visitors are also welcome !!! ＊ 11 December is the National Tango Day in Argentina , honouring the birth of two of tango’s great masters Carlos Gardel and Julio de Caro.